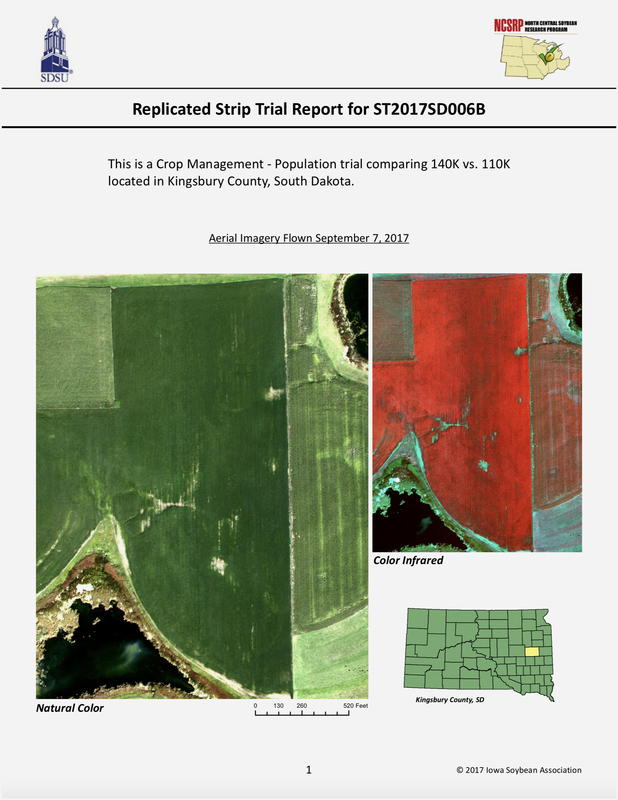 Read the latest recommendations in Frogeye Leaf Spot, a multi-state collaborative publication (2016). 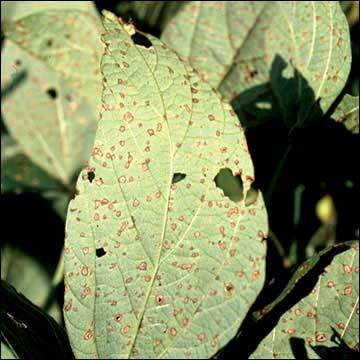 Frogeye leaf spot is a major disease of soybean, especially in the southern U.S. The disease has been occuring more frequently in northern soybean-growing areas and has increasingly suppressed soybean yields in the northern U.S. the past few years. 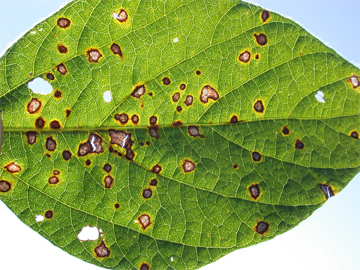 Frogeye leaf spot is caused by the fungus Cercospora sojina. Young soybean leaves are most susceptible while older leaves are more resistant. Leaf symptoms are first noticeable after plants begin to bloom. Infection occurs during warm, humid weather with cloudy days and frequent rain. When these conditions persist, infection can spread from leaves to pods, seeds, and stems. The pathogen survives between growing seasons on undecomposed soybean residue in the field and can survive on seeds in storage. When planted, infected seed may give rise to infected seedlings. 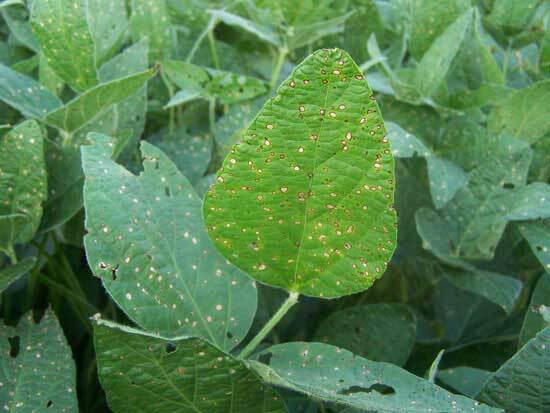 Frogeye leaf spot can be managed by planting resistant soybean cultivars, residue management, crop rotation, and foliar fungicides. Frogeye leaf spot is likely to be more severe where trees provide early morning shade and longer periods of dew. Scout for frogeye leaf spot when soybean plants begin to bloom. Scout in at least one area for each 10 acres, especially areas that are shaded early in the morning. Disease incidence and severity can be highly variable from field to field, and within a field, due to environmental conditions. For example, disease will likely be more severe on the west side of a north-south oriented fence row with tall trees or wooded area because the trees provide early morning shade, creating moist conditions favorable for infection by Cercospora sojina. 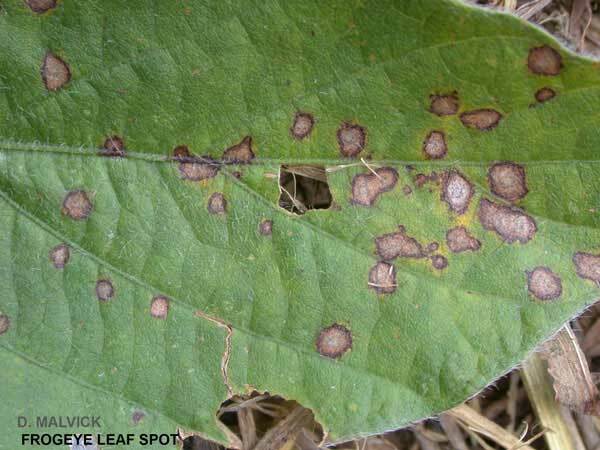 Frogeye leaf spot appears as circular tan to gray spots on the leaves, surrounded by very pronounced dark purple margins. They are most often the size of the end of a pencil eraser, about ¼ inch in diameter. Smaller lesions can coalesce into larger lesions. Symptoms of frogeye leaf spot infection generally appear on young leaves after plants begin to bloom. Under heavy disease pressure on susceptible varieties, spots can also be found on the stems, pods, and seeds. Lesions on pods are circular to elongate and slightly sunken, with a reddish brown color. As pod lesions age, they become brown to light gray with narrow dark-brown borders. The pathogen can penetrate through the pod wall and infect the developing seeds. Symptoms on seeds appear as conspicuous light to dark gray or brown areas that can range from specks to large blotches covering the entire seed coat, and the seed coat may crack or flake. Frog eye spots reduce photosynthetic area on infected leaves and significantly reduce soybean productivity when numerous. Ethylene produced in the leaf spots promotes premature defoliation, further reducing productivity. 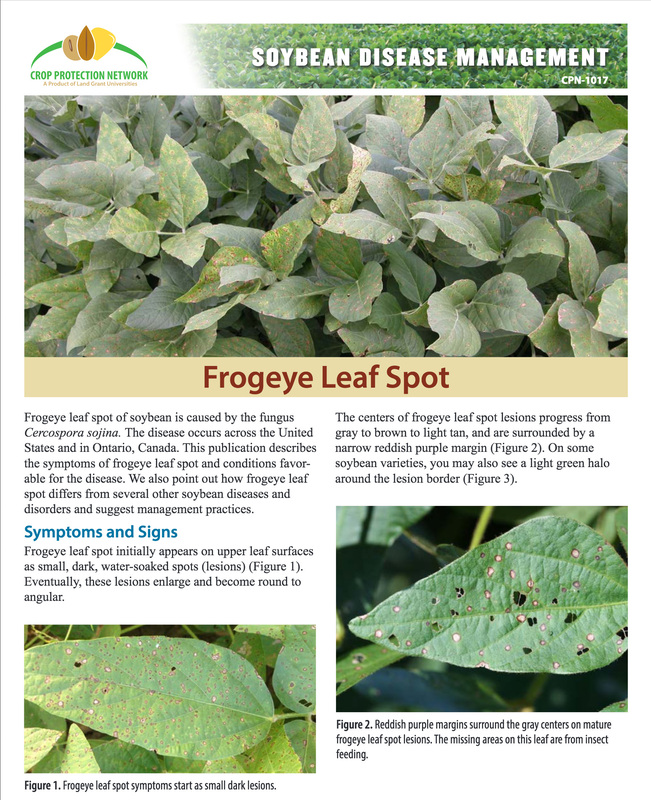 Frogeye leaf spot develops and spreads during warm, cloudy, humid weather when rain is frequent. Spores (called conidia) are carried by wind or rain and the disease can spread rapidly under these conditions. This disease will be rare when the weather is dry and hot. Young expanding leaves are highly susceptible. Fully-expanded leaves are more resistant to infection. Even with artificial inoculation under ideal conditions, lesions seldom develop on fully-expanded leaves. 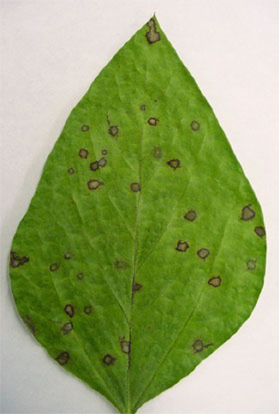 The frogeye leaf spot pathogen survives as mycelium (vegetative body of the fungus) in infected seeds or in soybean residue. The fungus can survive in soybean residue until the residue completely decomposes. Seed infection is common. The germination rate of infected seed may be reduced, and the resulting seedlings are usually weak. Spores produced on the cotyledons of infected seedlings are the main source of inoculum for the leaf phase of the disease. Plant varieties with resistance to frogeye leaf spot. The disease is effectively managed via single genes (Rcs genes),in which Rcs 3 is still effective against all U.S. Cercospora sojina populations. In fields where very high levels of disease develop, burying residue and/or crop rotation become very important. 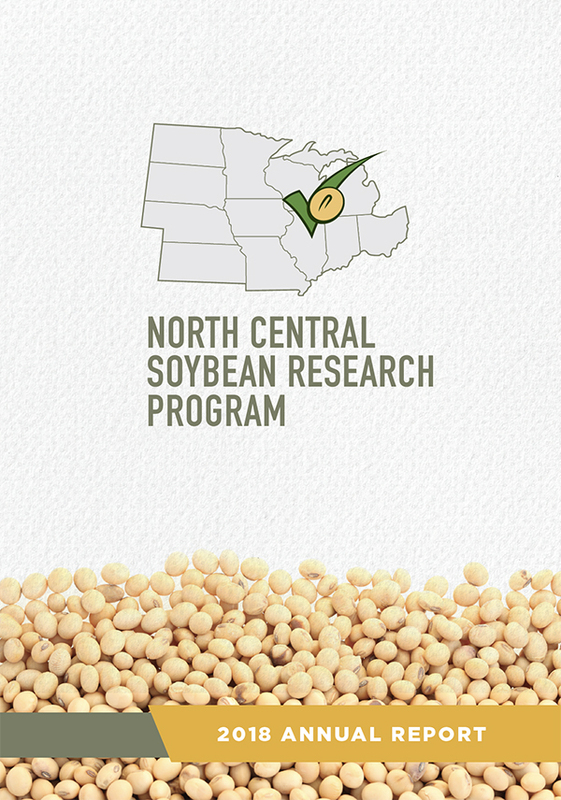 C. sojina can overwinter in some north-central states, and planting soybeans back into infested residue increases the chance of an epidemic occurring the following season if environmental conditions are favorable. Residue should be fully buried. If residue cannot be buried, then rotating out of soybean for at least two years will help reduce risk. It is not yet known how long the pathogen survives over years, but soybeans should not be planted for at least one year followed by planting resistant varieties. When frogeye lesions are found on plants prior to soybean growth stage R3, fungicide applications may be warranted on highly susceptible varieties. This is entirely dependent on the occurrence of weather conditions that continue to favor infection and lesion development.